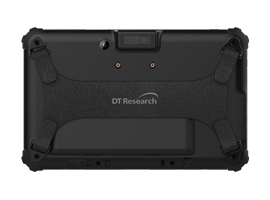 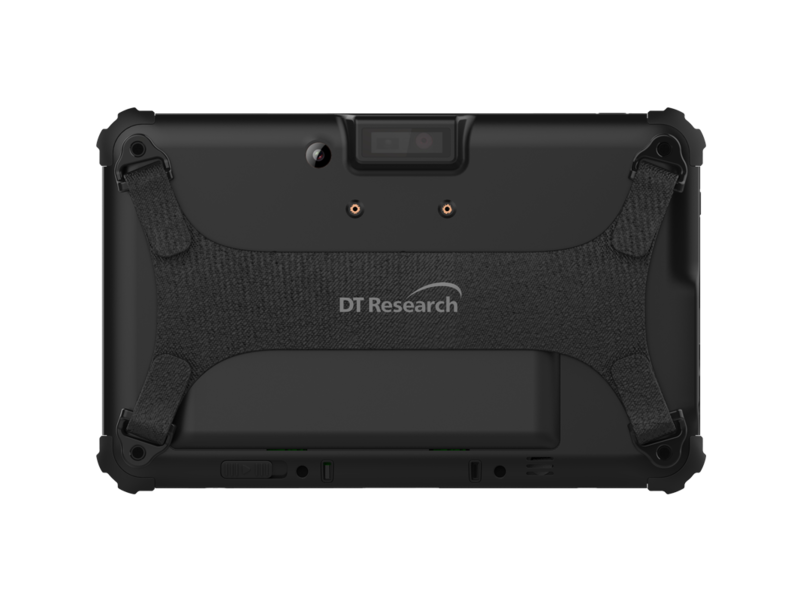 The DT Research DT318CR Mobile POS Tablet features the integration of a brilliant 8” capacitive touch screen and high performance yet energy-efficient Intel® Atom™ quad-core processor in a slim, lightweight, durable package. 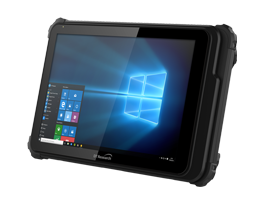 The 2-in-1 design of this tablet offers mobile point-of-service/sale applications, and also performs as a fixed POS terminal while docked in the cradle. 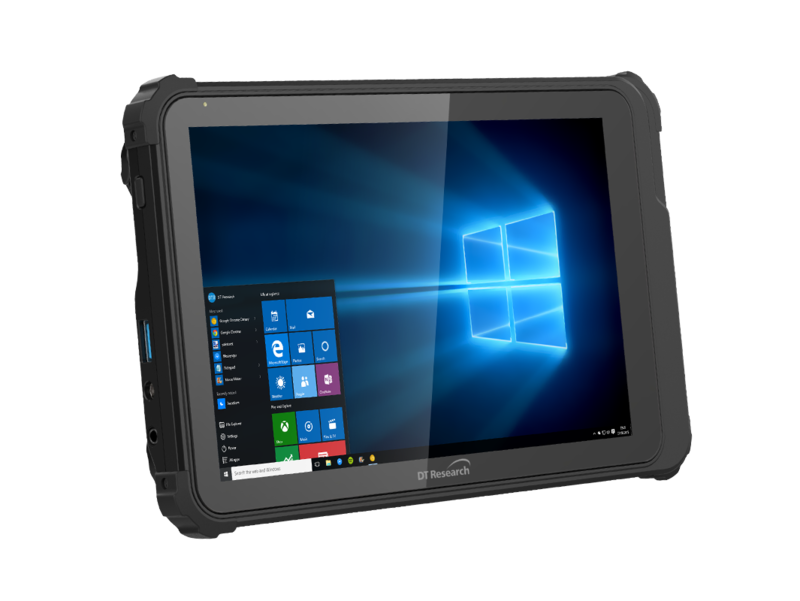 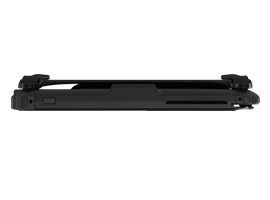 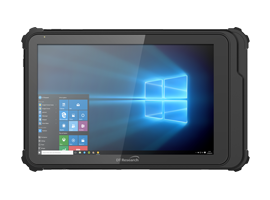 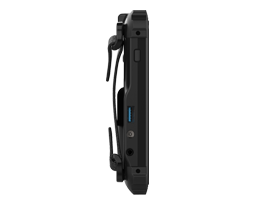 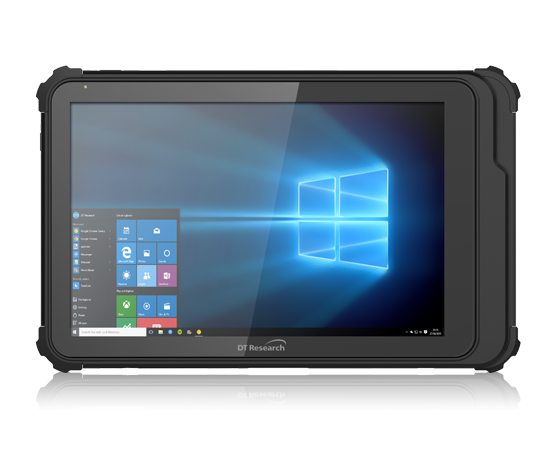 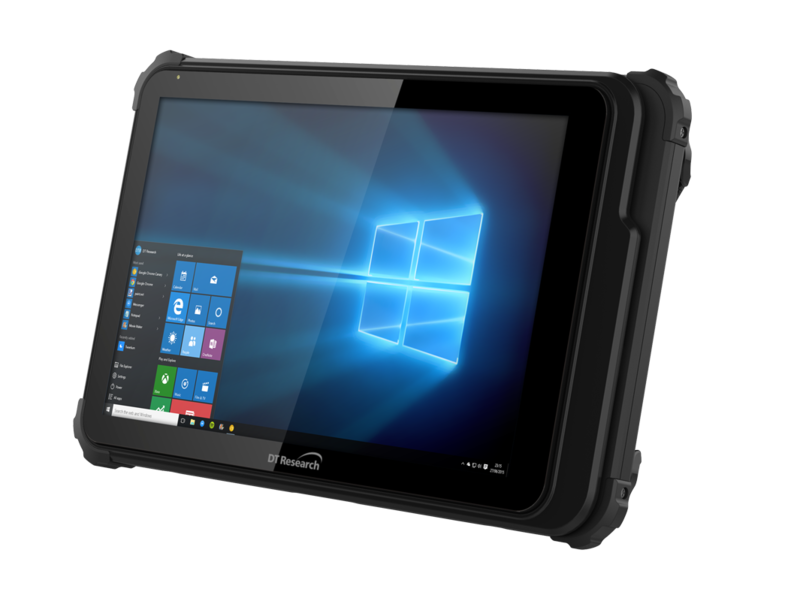 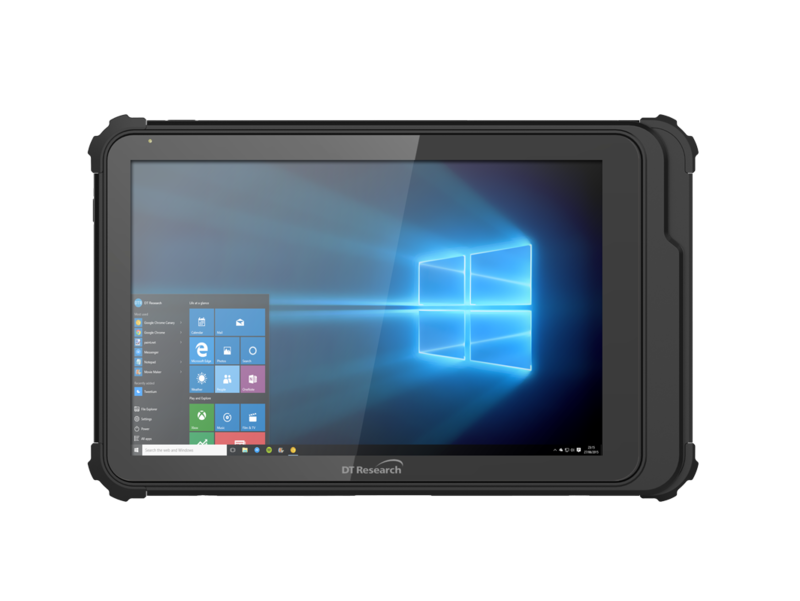 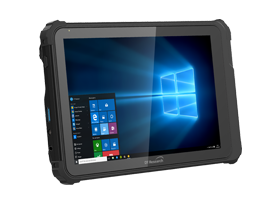 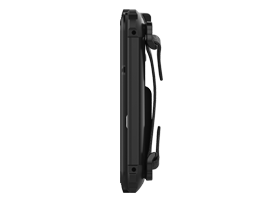 With Wi-Fi and Bluetooth as well as options for EMV® Chip-and-Signature card reader, magnetic stripe reader, barcode scanner and camera, the DT318CR Mobile POS Tablet provides seamless information capture for instant transmission in the restaurant, on the sales floor, and in the warehouse. 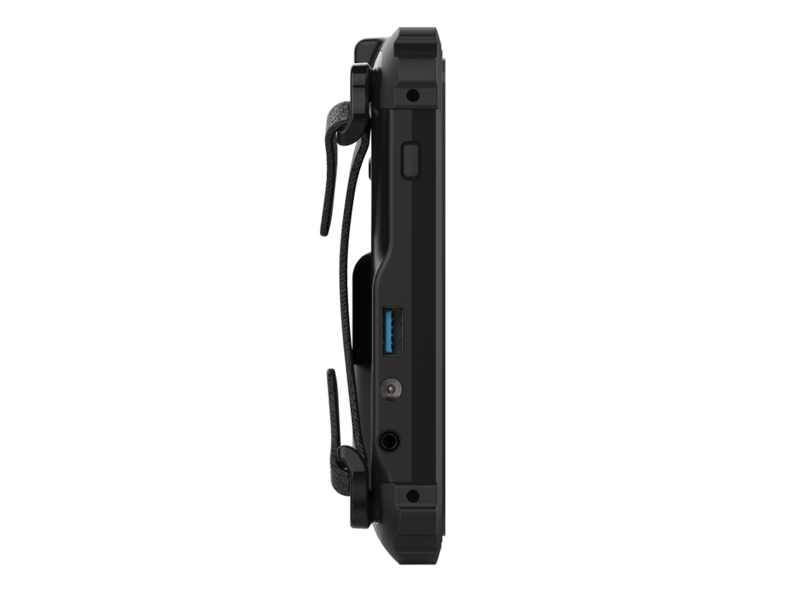 Multi-bay charger, capable of charging up to 4 battery packs simultaneously. 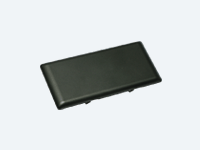 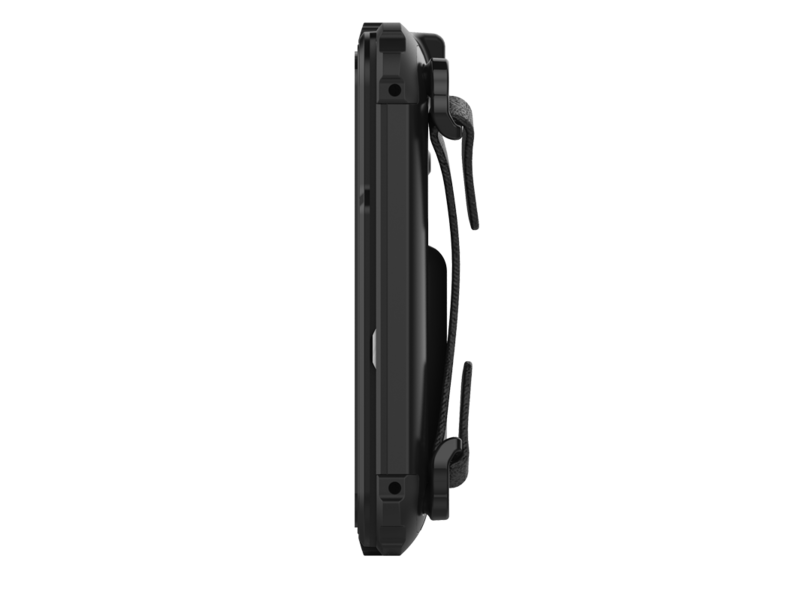 Facilitates battery recharge or Tablet operation through direct connection to the Tablet or via the Power Jack in the Charging Cradle. 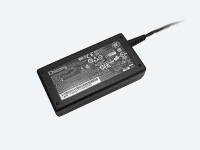 (Choice of North America, UK or EU power cord). 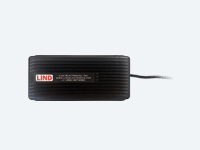 Use with power outlets in vehicles to facilitate device usage and/or battery recharge. 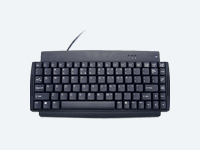 88-key USB keyboard in compact form factor can be used directly with the device or connected through the Cradle. 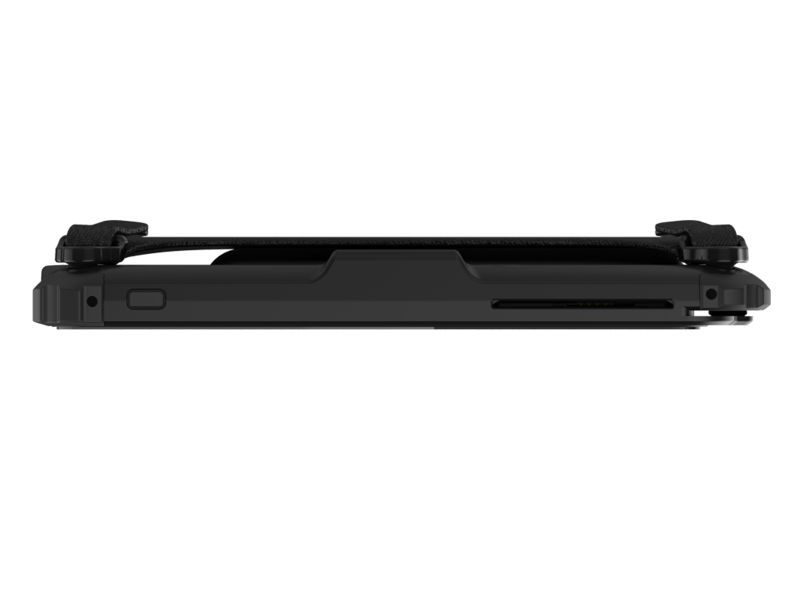 USA Only. 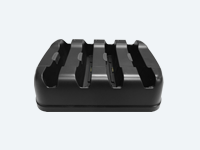 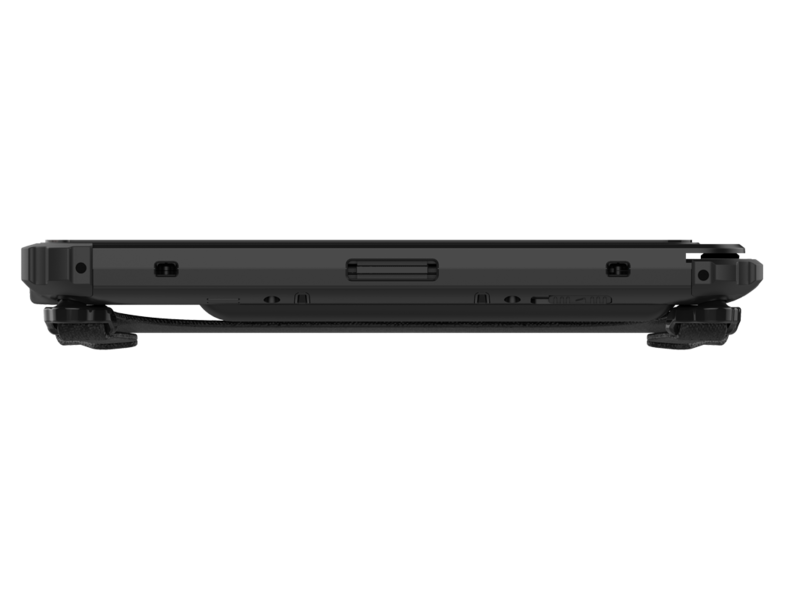 External, snap-on, hot-swappable battery pack; long operating life for continuous mobile operation.